deploys the latest technology at each step of the plan providing unmatched stewardship of public funds. 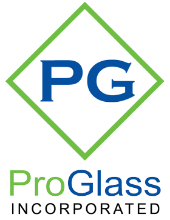 ProGlass manufactures the highest quality, strongest, and most reliable variety of products for utility providers throughout the United States and Canada. ProGlass product lines include substation trench covers, transformer and switchgear box pads, sectionalizing ground sleeves, hillside barriers and more. As an innovator in the utility industry, ProGlass also fabricates a variety of custom products tailored to fit a wide array of utility applications. Our leading product line is fiberglass trench covers, tested and available in both pedestrian-rated and H-20 traffic rated. Their unique non-skid surface and light weight reflect our dedication to make job safety a priority. The high quality raw materials used during fabrication ensure your new fiberglass utility products are always UV-resistant, non-conductive, high-strength, lightweight, and able to tolerate extreme temperatures. They reduce workplace injuries and manpower requirements. Power Quality Analyzers including single phase, three phase, and meter socket loggers.